Trek-Inn Holidays Limited are a UK-based specialist walking holiday company who arrange escorted and self-guided walking, hiking or trekking holidays in Ireland, the UK and Europe. Unfortunately due to the adverse economic conditions, Trek-Inn Holidays ceased trading in November 2012. We would like to thank all our customers for their support and encouragement over the years - and we hope to see you out on the hills at some time. Travel when you want, hike at the pace that you want, but without the worries. 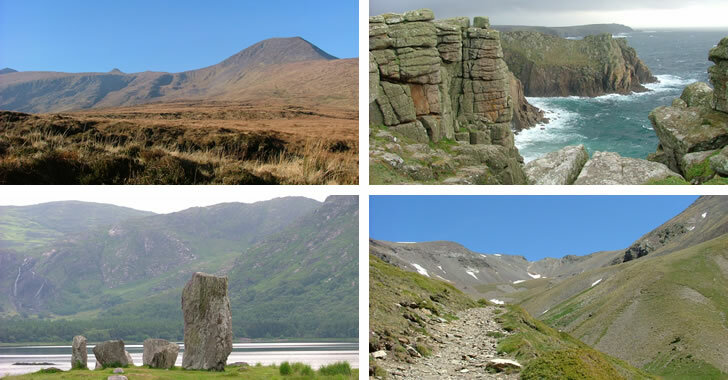 We take care of everything for you on our independent walking holidays. Visit the wonderful South-West of Ireland as you walk the famous Kerry Way self-guided walking holiday . Or experience ancient Roman history as you hike the Cumbrian and Northumberland Fells along the world famous Hadrian's Wall path. Why not try something a bit more adventurous with our classic Pyrenees walking holidays - select from either the French Pyrenees or Spanish Pyrenees walking holidays. Experience the joys of hiking the hills and countryside with other like-minded walkers, in the hands of an experienced guide. We are happy to now offer an escorted tour of the Best of Hadrian's Wall. This is a seven night guided walking holiday on Hadrian's Wall which is is a wonderful mix of walking, Roman history and local history - all in the hands of an experienced local guide. Whatever you want - whenever you want (within reason). Contact us with your requirements and we will see what we can do for you! Site design by Kino Creative. Produced and hosted by Trek-Inn.